Gmail exchange has been released or updated in some cases. This should come as no surprise to anyone that Google would add the well sought out "exchange" feature that would allow the typical business worker to have access to his work email directly on his Android device. 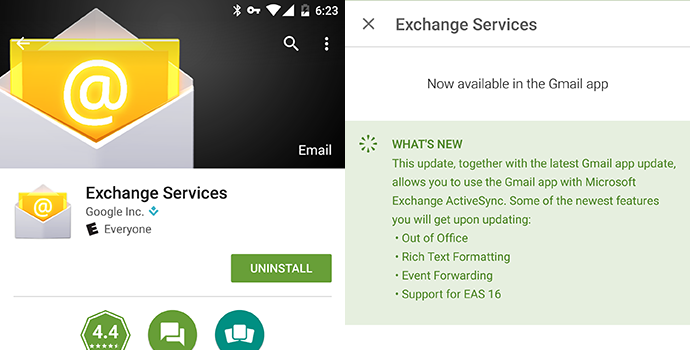 The latest update to Gmail combined with the Exchange module will now allow people to be able to use the Microsoft ActiveSync system that so many businesses run on. The following update gives you the ability to use the "out of office", rich text formatting, event forwarding and more. As always you can check up on me directly @ www.cryovex.com.